Charlie doubted her sister could make this up to her. It was Christmas Eve and instead of enjoying a lengthy lie-in before celebrating in the pub, she was spending the day with Suzy, her four-year-old niece. Charlie didn’t usually turn down the opportunity to spend the day with Suzy – the kid was hilarious and sweet, the kind of kid Charlie would want if she ever met Mr Right – but not when there was a large vodka and cranberry juice (it was Christmas, after all) with her name on it. She deserved that drink. She deserved the five or six that would follow until she forgot about the fact that she was spending yet another Christmas as a single woman. Why did Thomas have to ditch her in December? Couldn’t he have waited until the January sales at least? ‘For starters,’ Charlie mumbled when her sister turned her attention to little Suzy, making sure she was buttoned up and decked out with hat, scarf and gloves. Charlie closed her eyes and took a deep breath. She counted to ten. Then twenty. It wasn’t working. ‘Can’t you take her later? You said you were only working until three.’ Charlie’s sister had been called into work at the last minute as someone had called in sick (aka had a raging hangover), so now Charlie was not only saddled with Suzy, but God knows how many other hyper brats waiting in line to see the big man in red. Damn! How could Charlie say no to that without coming across as the miserable devil child of Scrooge and The Grinch? She couldn’t and so she found herself crossing the village green, Suzy’s little hand clasped in hers, towards the children’s bookshop. She hadn’t stepped foot inside the shop for twenty years, not since she was a little girl herself and had regularly sat cross-legged on the rug for story time every Saturday afternoon. The shop hadn’t changed a bit. 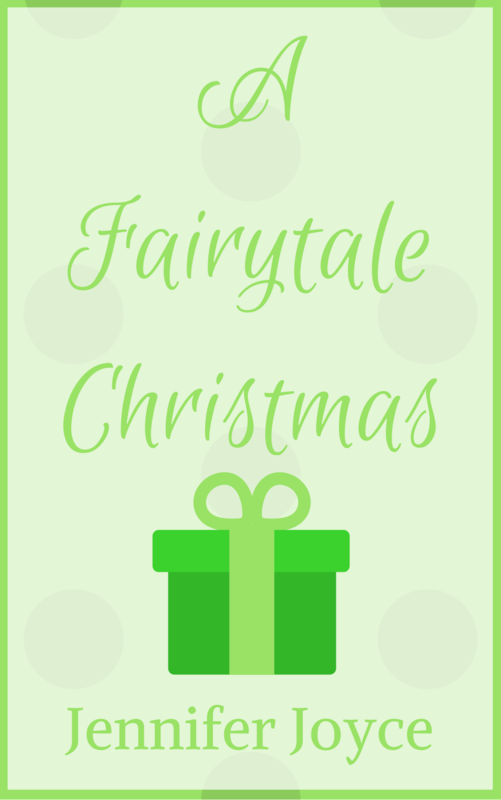 Fairytale Forest was a magical trove of discovery for children and Charlie found herself gazing around the shop in awe, not even noticing the chaos surrounding her until a robust boy crashed into her, almost pushing her into a display of festive reads. ‘Hey, watch out. Santa’s watching, you know.’ The threat had worked a treat on Suzy for the past twelve weeks. ‘He’s not. He isn’t even here.’ The boy tore off again, this time colliding with a toadstool and sending it clattering across the room. Charlie took a proper look around the shop now, ignoring the nostalgia and instead seeing the shop for what it was; a cavern of agitated kids and their even more agitated parents. Kids wailed and stamped and moaned and their parents had long ago given up trying to soothe them. Great. Charlie wasn’t sure she could take much more of the noise. It was at times like these that she was grateful she had such bad luck with men. Who knows, if Fred Gailey hadn’t broke her heart when she was eighteen, they could be married with a bunch of kids by now. This bedlam could have been a daily thing. Charlie shuddered. No, Fred had done her a huge favour. As had all the other losers over the years. ‘Ho Ho Ho!’ The stockroom door opened and out stepped Santa, his trousers a little too short and the pillow up his top not quite plumping out the jacket enough, but none of the kids seemed to notice or care. A cheer erupted, almost deafening Charlie, especially as Suzy was one of the loudest. ‘Of course I do.’ Charlie hoped Suzy wouldn’t start questioning the logistics of one man delivering presents all across the world during one night. She didn’t have the energy to even try to think up a lie. ‘He’s looks like the real Santa to me. He’s got a beard and everything.’ The bushy beard smothered Santa’s face, with only his twinkly blue eyes showing. Charlie wondered how the poor bugger could breathe with that fluff stuck to his face. It seemed like Boxing Day was almost upon them by the time Charlie and Suzy made it to the front of the queue, with only Doris Walker’s extra mince pies making the wait bearable. ‘I’m Suzy and this is my Aunty Charlie.’ Suzy had hopped up onto Santa’s lap and was running her chubby fingers through the synthetic beard. Charlie prayed she didn’t pull it off. Her sister would never forgive her if she shattered the magic of Christmas for Suzy. ‘Have you been a good girl this year?’ Santa asked and Suzy, eyes wide and innocent, nodded her head. She’d seemingly forgotten the incident with her mother’s expensive perfume and the felt tip drawings on her bedroom wall. ‘And what about your Aunty Charlie? Has she been a good girl? Or is she on the naughty list?’ Santa winked at Charlie and she felt her cheeks grow warm. Was Santa flirting with her? Charlie’s cheeks burned brighter than Rudolph’s nose. 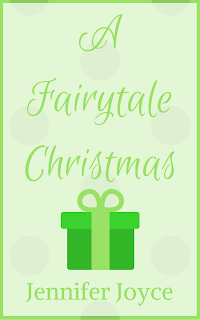 ‘Come on, Suzy, time to go.’ Grabbing the child, she pulled her off Santa’s lap and tucked her under her arm. ‘My present!’ Santa held out the wrapped gift, which was suspiciously book-shaped, before Suzy could start to wail. ‘Thanks,’ Charlie mumbled. She couldn’t forget her manners, no matter how mortified she was, especially in front of Santa. ‘You make sure you’re a good girl for your Aunty Charlie,’ Santa called after a wriggling Suzy as Charlie hauled her out of the shop. ‘Aunty Charlie? I can’t. Breathe.’ Suzy rasped beneath Charlie’s grip so she put the child down once they were safely across the road from the bookshop. They crossed the village to Charlie’s house, where she entertained Suzy with festive films. Her humiliation had subsided substantially by the time Suzy’s mother picked her up, but she still needed a drink. A large one. The pub was packed, its patrons already merry. Charlie fought her way to the bar and joined the bustle of thirsty customers. Charlie turned towards the voice and was greeted by a pair of sparkling blue eyes. ‘Do I know you?’ He looked familiar but Charlie had never met the man before. Charlie gasped. ‘Santa?’ Her Rudolph-cheeks returned as she realised who he was. So this was Doris Walker’s nephew? He was quite dashing without the fluffy beard. A couple of hours later, when Charlie’s sister had managed to sneak out of the house to nip over to the pub and reward Charlie with vast amounts of alcohol, she found her sister in the very capable looking hands of a handsome young man with sparkling eyes and a warm, infectious laugh. It had been a long time since she’d seen Charlie laugh like she was now, unabashed and clutching herself around the middle. Charlie looked so happy and content with her new friend. Perhaps she’d buy her sister those drinks another time.